*Ultimately, it saves you time. *It makes your home run more smoothly and efficiently. *You can breathe easier and be a better you! When you don’t have to constantly look for things, you gain back time and sanity… that’s a win-win! Take small steps and make progress. Even though organizing is something I enjoy doing, there are areas that I keep avoiding… and avoiding (pictures… eek!). It’s easy to get overwhelmed. Like most things, organizing requires taking small steps and making progress until you reach your goals. When you add a kid (or two, or three) to the picture, organization becomes harder but even more important. You really have to be able to find what you need when you need it. What my first job taught me about organizing. The way I organize goes all the way back to when I had my first job at a retail store as a “front and facer.” The job literally meant pulling everything to the front and turning it around neatly. While others dreaded this position, I loved it! A manager took notice and said “Misty, I have a project for you.” Boy, did he ever…. I wish this had been back in the day of cell phone cameras (wow, telling my age here) because this project was very worthy of a before and after picture. He took me to a back storage room that was filled with overstock of everything, everywhere. It was an absolute wreck! What do you say when you’re a teenager and your manager asks you to do something except when do I start?!? That storage room took me two days and literal blood, sweat, and tears! However, I was very proud of the transformation and the manager was thrilled. The system I used to tackle that overstock room is the same one I use in our home now. Where to start to get organized. First, if you have no idea where to start, I have a post to help you figure that out. Once you’ve chosen the area to work on, come back to these 7 effective steps to organize any space. Remember, progress… start with an easy, small win! In time, you will see all of your hard work paying off and the best part is you’ll be better prepared to keep it that way. I’m going to illustrate them using my fridge as the area of choice since I haven’t done that in awhile. Step 1- Take everything out of the area. Remember that storage area I was talking about earlier? I loaded everything in carts and pushed them to the end of the aisle before I could start. The same is true in your home. In order to organize, you have to see the contents and the space you have to work with. Once you have the contents out, move on to step #2. Step 2- Get rid of everything you can. You are not able to organize clutter. Clutter becomes something you just move around. Believe me, this is a work in progress around here, but getting rid of everything I can means I can actually enjoy what I need. In the case of the fridge, this is pretty easy. 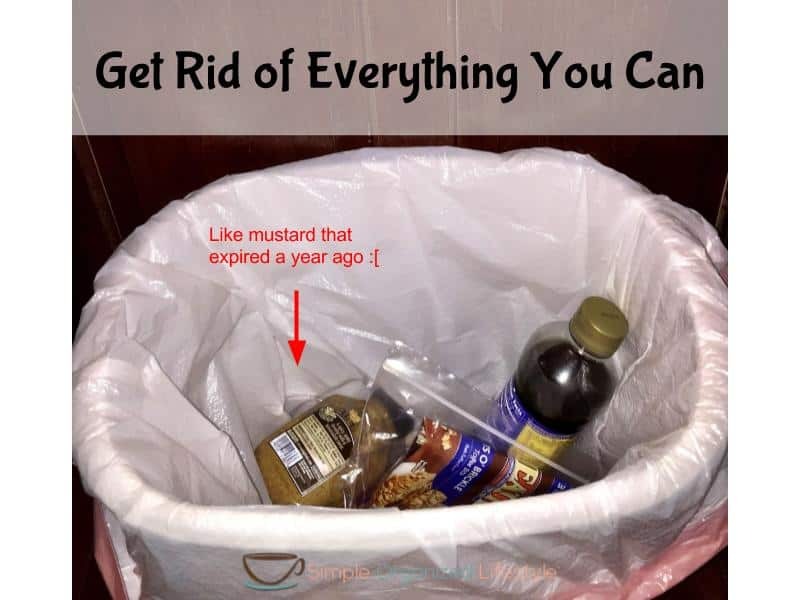 Trash anything expired, stale, or leftovers that are past their prime. In other areas of your home, get rid of (or donate) anything that you are not using. Step 3- Clean the area. It’s not that often that we get to work with an empty space in our home. 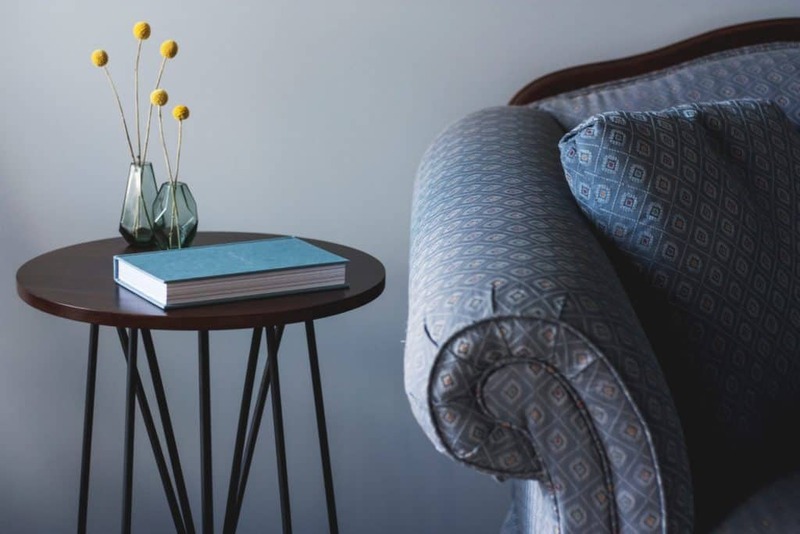 When you get new furniture or do a remodel project, chances are you take that time to clean spaces that are normally covered. 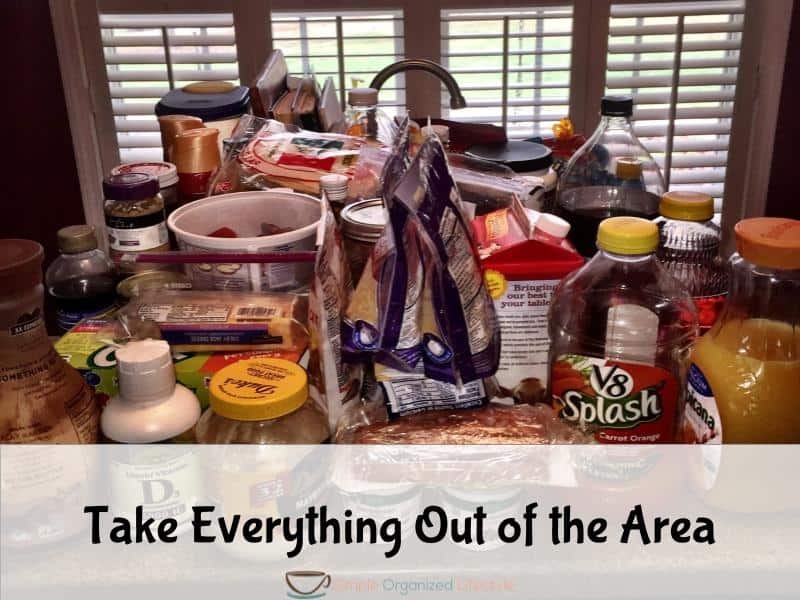 When you take on an organizing project and have everything out of the space, use it as an opportunity to clean the area. 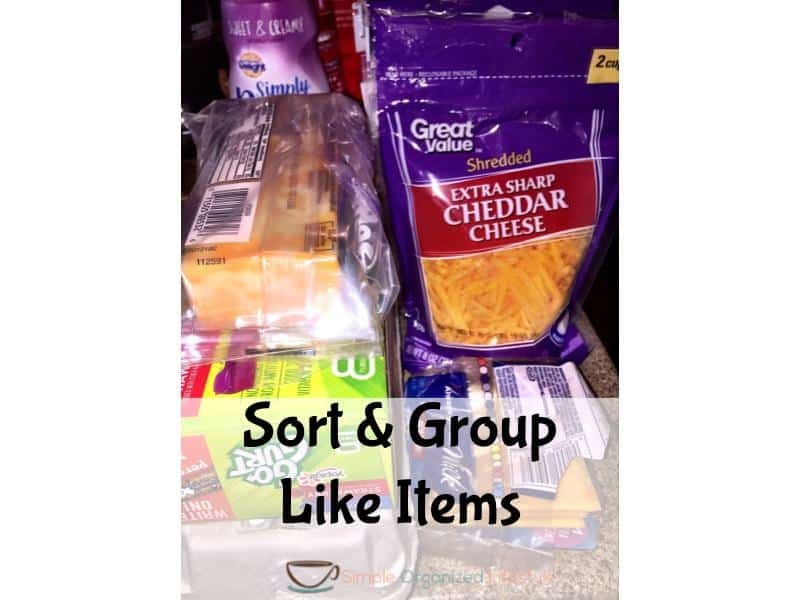 Step 4- Sort and group like items. This is an easy one for the fridge. 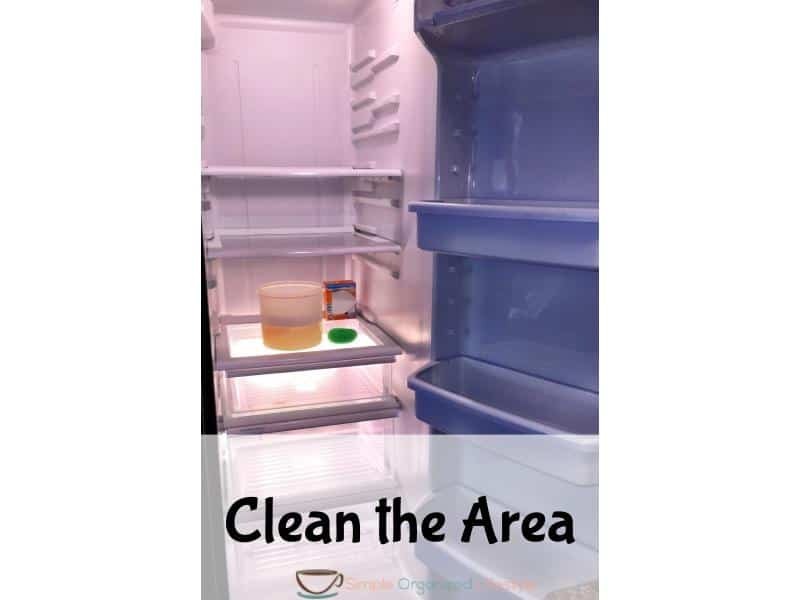 Put your contents into similar groups, such as drinks, dairy, condiments, etc. so that all of the similar items go back in the same location. This is true for any space you are organizing. If it’s the closet, put all purses, accessories, sweaters, etc. together. This makes it easy to see and find the things that you need. Step 5- Give everything a home in the new space. 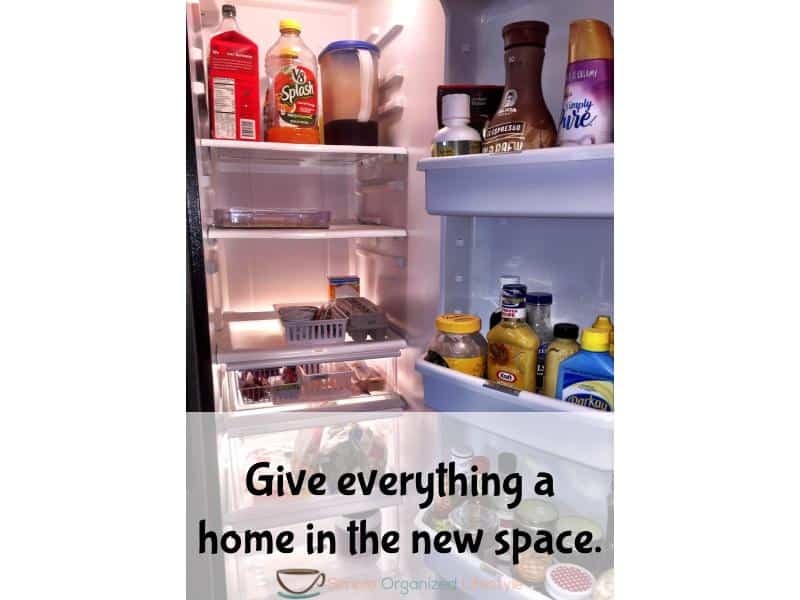 Put everything back in a way that makes sense for your family and the space that you have. Give everything its “home” so that there is no guess work about where something goes. In our fridge, we leave the second shelf empty for our son’s food and lunches so the sitter can easily find them. It’s a system that has worked for us since he was a baby but it might not make sense for a family with more than one school-aged kid. I’m a firm believer it just has to be done and that means something different to everyone. 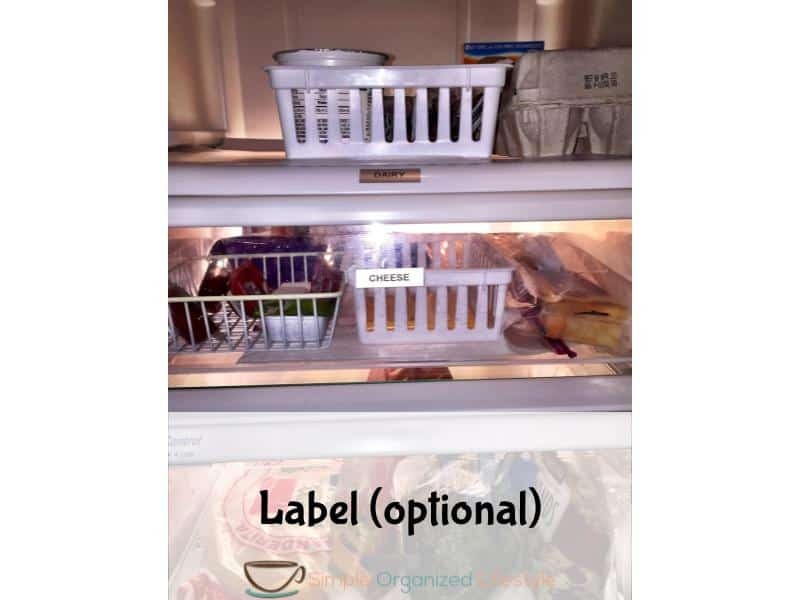 You may not want or care about having items labeled, that’s perfectly fine! I love simple Dymo labels. Some people like color coordinated labels on things like washi tape. Whatever gives you joy, finish your project with that! I wrote about the tools I use for all of my organizing projects here! Step 7- Maintain the organized space. Commit to keeping your system in place and making adjustments as your time and situation changes. Ultimately, any organized space has to be practical and work for your lifestyle so it may look differently over time. The goal is that it’s working and saves your time and sanity. Getting organized helps your home run more smoothly, which means that you are able to breathe easier and be a better you! 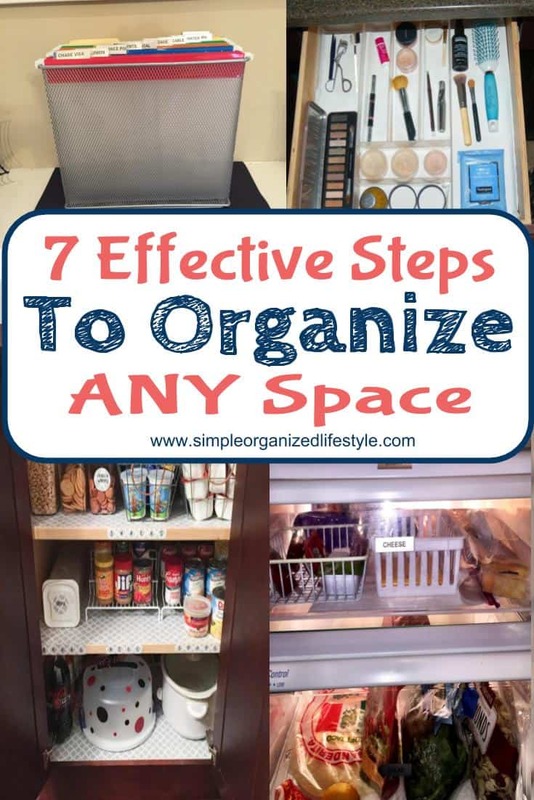 These 7 effective steps to organize any space are the way I have organized since w-a-y back in the day as a front and facer. They will work for any space in your home or life that has become a source of frustration and overwhelm. It takes time in the beginning but is a great return on investment for days, months, or even years to come!